Out of Africa, out of Denmark they came home for a visit. Two sons with the world at their feet and service in their hearts. How our hearts swell and our smiles last. We are of Colorado soil and high aspen groves that quake like our imaginations. The call of the high country as the leaves change and the first snows cover the peaks is too strong to ignore. We’re heading for the Rocky Mountain highs – the crew cab is ready to 4-wheel. The time for them to acclimate in Prescott at 6,000 feet from sea level is passing, and we load our stuff today and head through rain and storms to Colorado tomorrow. Life above 9,000 feet is our goal. We will wend our ways into the rugged and beautiful. We will camp if it’s not too wet and cold. We look forward to the old towns and hotels where history rubs off on us and we understand another time and people. Our fly rods are packed. Rain or shine we will harass the fish in roiling streams. The names of high passes and roads like Trail Ridge we be lifted from maps to reality. Two weeks? Adventures ahead! Prepare for Alex’s and David Nathaniel’s photo essays. I’ll miss my hours of searching and sharing the latest reports on the battles to save America’s great public schools, and defeat the killers of democracy in their corporate and charity veils. 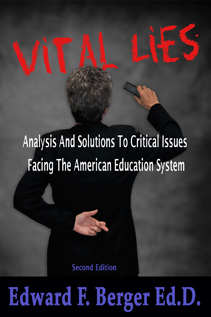 I received an advanced copy of Diane Ravitch’s new book, Reign of Error, which will be released later this month. I’ve already perused it – WOW! This should stop the crimes against kids, schools, and communities unleashed by the deformers. It is a major contribution and I’m excited to have been asked to review it. I’ll have lots to report when we return to Prescott and my computer. Thank you all for following and appreciating the selections I forward via FaceBook.